Weeds and roots coming through the existing weed barrier. Whether it’s because it is old or shrubs have been moved or replanted. Replacing the weed barrier will slow unwanted weeds down and make de-weeding more manageable. Planting of shrubs, grasses and trees in a uniform manner will add beauty and depth to your empty spaces. Annual plantings can add a variety of texture and color producing a cost efficient way to spruce up your landscaping. We are able to replace edging that has been hit by the lawn mower or has come out the ground over time. 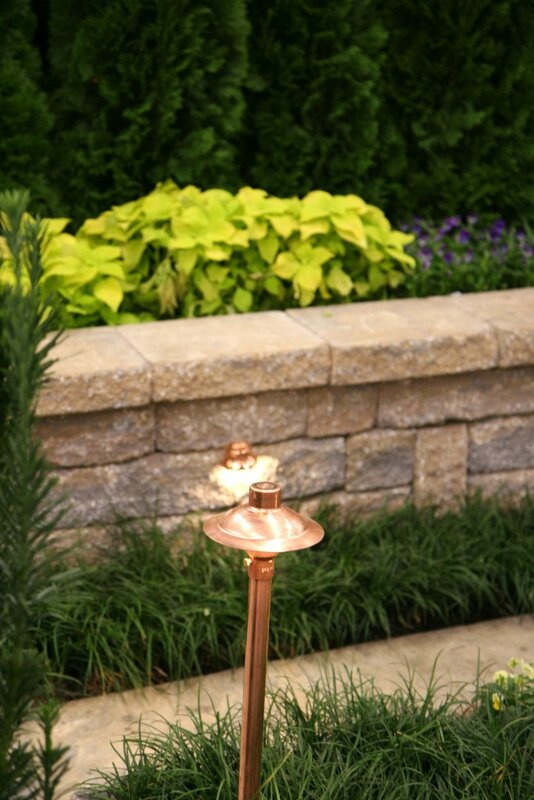 We can also choose a new landscape area to install edging. We can add rock to your existing landscape to freshen it up, remove old rock and replace it with a new color of rock or remove rock and replace it with mulch. Most of our landscaping services are light duty but designed to greatly improve the look of your business or home. 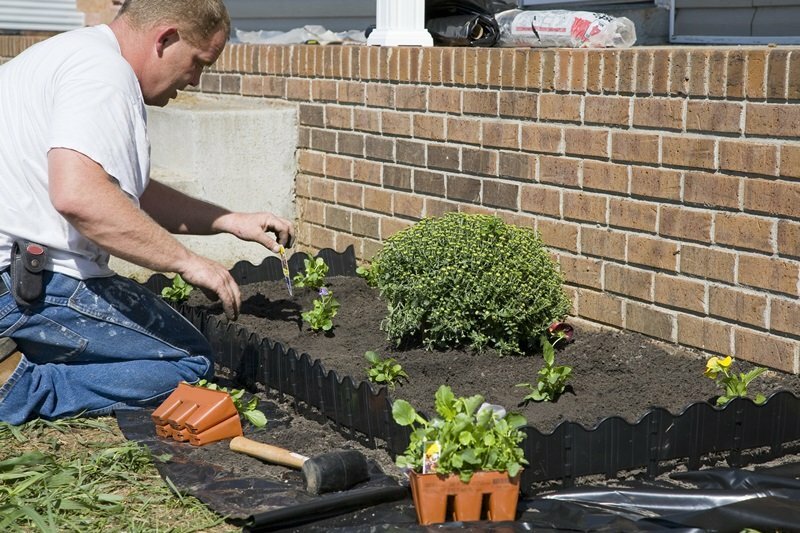 Our services extend beyond the normal scope of shrub trimming to encompass the installation of mulch, edging, decorative rock and weed barriers. If your project requires heavy machinery or is just too large for us, we will point you to one of our friends that will be able to service your landscaping needs. 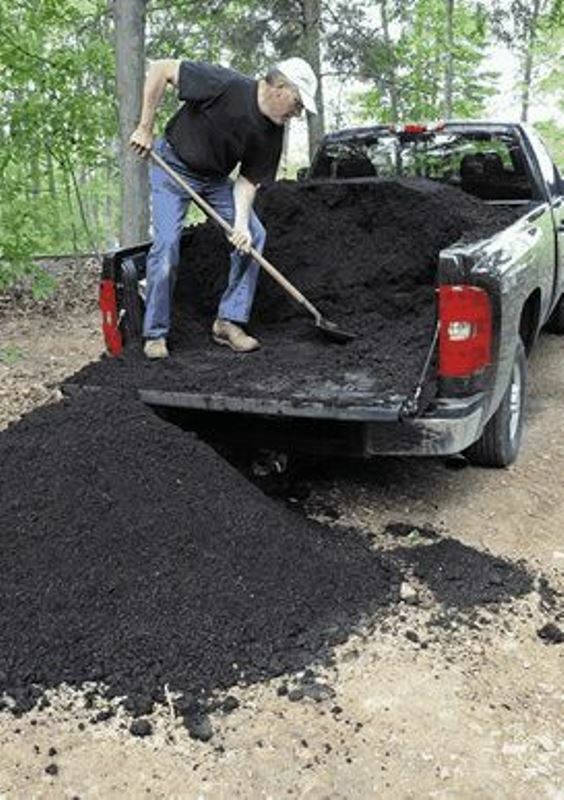 A great way to spruce up your landscape is by adding a fresh layer of mulch. A top dressing of mulch will prove to be a great addition to your landscapes overall appeal. Of course mulch is a quick dresser, but mulching will suppress any unwanted weeds. We can make tree rings and install landscape bed edging that will keep your mulch in place. Mulching trees and garden areas is important for health trees will keep important nutrients in your soil. nd plants to look their very best. Depending on your lawns specific needs, we can set up and schedule several applications that continue throughout the growing season. For both Spring and Fall, we provide special time property clean-up services. We can remove all of the fallen tree limbs, other debris, and dead plants that were the result of harsh weather conditions and the natural growth process. We can get your lawn, trees, shrubbery, and plantings in shape and ready for the new growing season. We can design several different programs to help your lawn and plants to look their very best. Depending on your lawns specific needs, we can set up and schedule several applications that continue throughout the growing season. We remove fallen leaves and other debris from your lawn and mulch beds using our mower mounted vacuum system. This service is recommended twice a year, once in the late fall and again in early spring. The fall and spring time can both be a little overwhelming to a property owner as there is so much to do for your landscape. Call us to give you a helping hand. 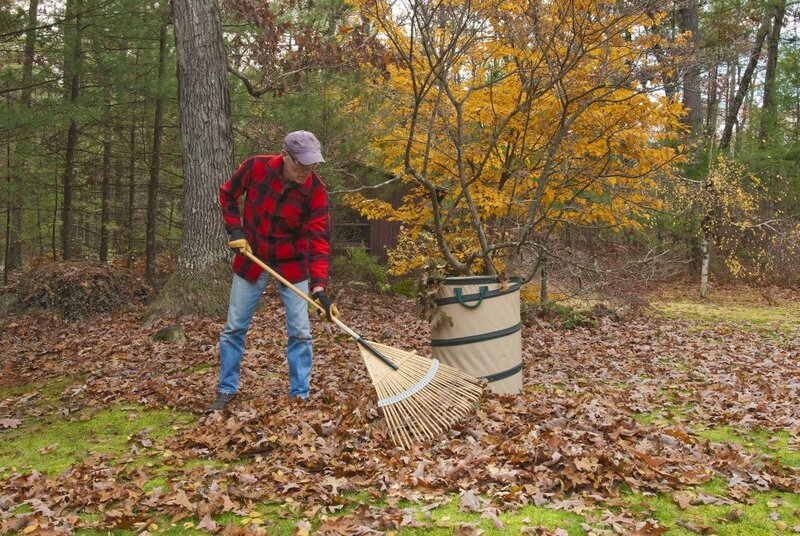 We provide leaf removal services and other property clean-up services for the fall. By removing those unsightly, dead leaves, you will be able to better enjoy your landscape during the winter months. Moreover by removing the dead leaves, your hard surfaces, including all driveways and sidewalks will need fewer cleanings as they will have less dirt and stains that would have been caused by the decaying leaves. Trimming shrubs and hedges at the proper time of the year will promote new growth. Regular pruning keeps shrubs from overgrowing, improving their appearance and promotes healthier development. After all trimming and pruning have been performed, we will cleanup and remove brush trimmings from your property. Do you have a pile of sticks, branches or old firewood just piling up? How about a pile of leaves? We can remove any unwanted debris from your home or business and haul it to your local recycling facility. We can either haul away any work you may have already done yourself or clear out the necessary branches, sticks or leaves for you. Give your home or property extra curb appeal! Power edging can enhance the appearance of your lawn. 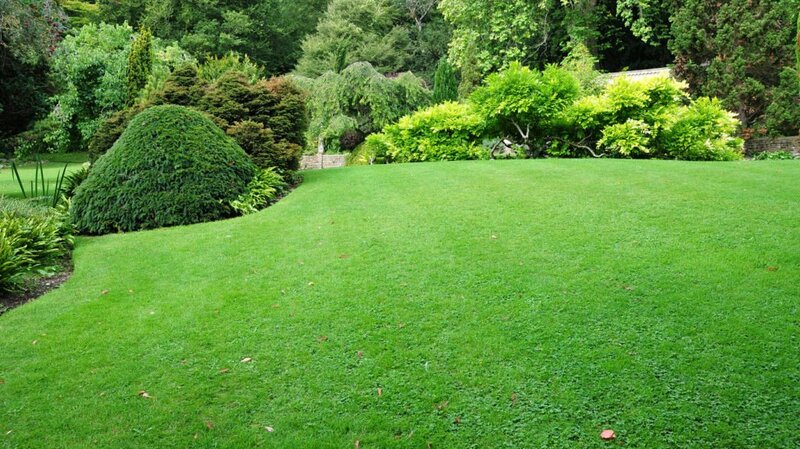 Edging your lawn gives it a finished and professional look. Overgrown grass can usually be reduced with a weed whacker, but power edging will leave your driveway and curb line more manageable.